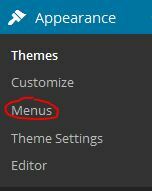 While this post shows how to add a clickable number to a WordPress menu, you might be interested in a new plugin that’s recently launched. Click ‘N Tap can turn text into links that someone can click to initiate a telephone call, send an SMS message, make a Skype call, or start a FaceTime session. 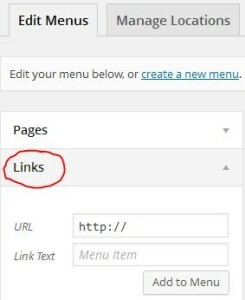 You can also add a tappable link in your WordPress menu with this plugin. You can learn more about it here. Recently someone left a great question on an earlier post where we talked about creating a WordPress click to call link. 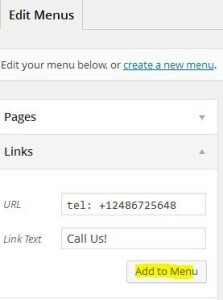 The visitor wondered how to add a clickable phone number to a WordPress menu. It’s pretty straightforward, so I thought I’d share the answer here. Please note these instructions pertain to creating a clickable phone number for a mobile site. You will need to apply a css class to format the link as text for desktop. 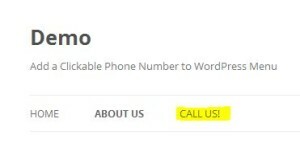 So you see it’s simple to add a clickable phone number to a WordPress menu. And it’s important to do so because your mobile visitors should be able to quickly and easily navigate your WordPress site. A recent study by widely-respected Search Engine Watch supports that having a click-to-call phone number increases a brand’s click-through rates. In fact, the study shows that 70% of mobile searches use this feature. Businesses that do not have a click-to-call website feature will most likely frustrate mobile users, which will then compel these visitors to find another brand. Hi Peter, you’re right; this code works fine on a mobile device. But when I tested this on a desktop with Chrome, it wants to make the call with Skype. However, if you don’t have a program such as Skype, the desktop browser doesn’t know what to do. Hmmm….I need to revisit this and see what we have to do to fix this for desktop! I’ll definitely update this post once I get this sorted out. Thanks again for taking time to leave a comment.